Yahya Abdul-Mateen II as Manta in the Aquaman live action movie. Aquaman's greatest enemy is the scourge of the seven seas, David Hyde, whose heart is as cold as the ocean depths he hunts. Considered one of Aquaman’s greatest enemies, Black Manta has a singular hatred for the King of Atlantis. For decades, Manta’s true name and motives were shrouded in mystery, hidden behind his menacing oversize helmet. In modern times, however, his true motivations have been revealed. But no matter the era, Black Manta has always inflicted a special kind of pain upon his archenemy, cementing his reputation as one of the most ruthless and driven criminals in DC history. For more on Black Manta's history, visit his page on DCUniverse.com. Aquaman, aquaman movie, aquaman film, aquaman sequel, aquaman 2, aquaman sequel details, Atlantis, black manta, arthur curry, jason momoa, jason momoa aquaman, amber heard, mera, peter safran, peter safran interview, peter safran aquaman sequel, aquaman exhibit, dc universe: the exhibit, warner bros. museum, warner bros. studio tour, james wan, james wan aquaman, dc movies, dc films, dceu, warner bros.
Do Atlanteans listen to music? If they do, what would it sound like? 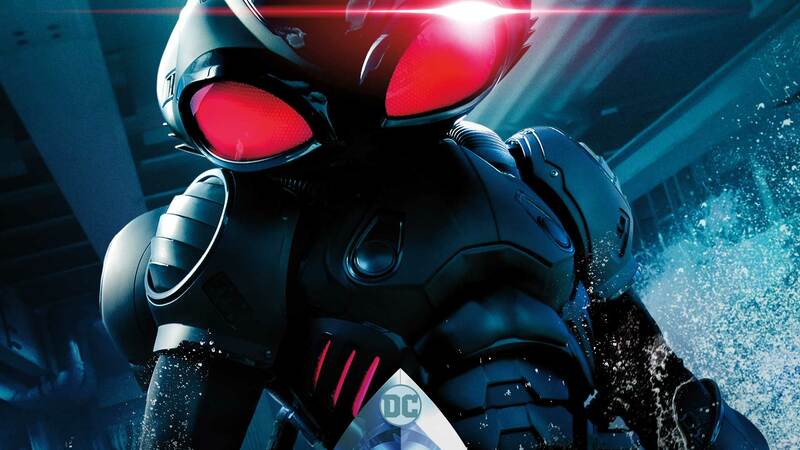 Let’s be real, we all know who Black Manta is. He’s without a doubt one of the best and most iconic super-villains to ever exist. Don’t @ me, you know it’s true.